The World Health Day is a global awareness day celebrated every year on 7th of April. Witty International School, Sukher, Udaipur took it as an opportunity to draw the attention of kids to a subject of major importance i.e. 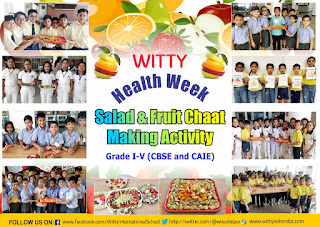 “Health.” Health Week was observed for Grade I to V wherein information about balanced diet and several utilitarian health tips were given to the students. With the grail to build a better, healthier future the creative Wittians excitedly orchestrated their talent. 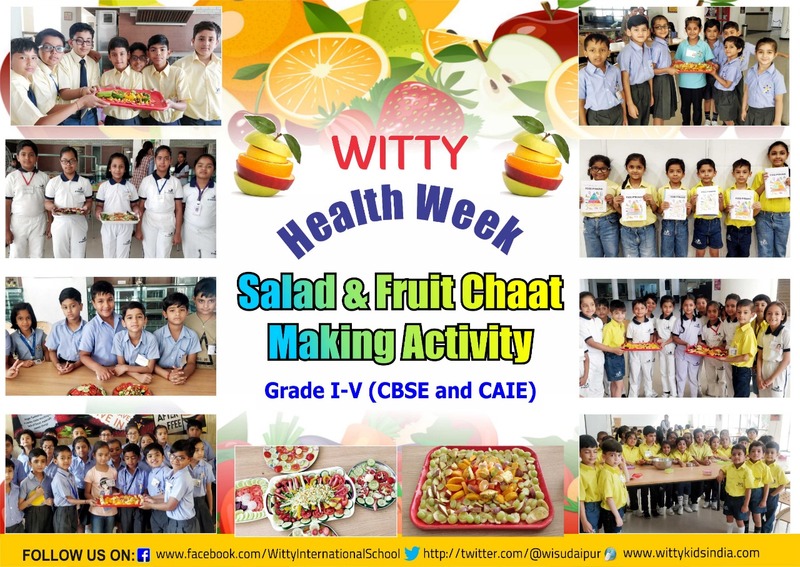 Fruit Chat Making Activity was conducted for Grade I and II while Salad Making Activity was conducted for Grade III- V. Zealous students assembled the ingredients at the school Bistro lending a plethora of creative genius to the raw vegetables and fruits. It was week full of healthy fruits and salads on the platter for the young and healthy forerunners.